My name is Bobbi Jo. I was asked to Join the Hidez Team in December of 2010. Initially being sceptical that some material could make such a difference to a horse, I trialled the Travel and Recovery Compression Suit at home for a few months, really putting it to the test. Straight away I started noticing a difference in my horses attitude, behaviour, movement and muscle suppleness. After a few months of use throughout our Queensland Summer, I was Hooked! A Sceptic No more! This is when I started my role with Hidez as one of their main Agents. I also work with them as we design and test new products and continue to improve the line we currently have. 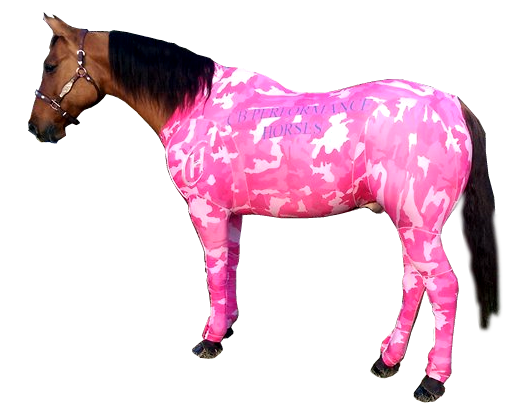 With a correctly fitting Hidez Suit, Horse owners are able to manage these problems easily, without any major heavy/ expensive equipment and with no interruption to the horses routine.